Baby Socks: Daily Pampering For Your Little One. Calzitaly thinks about the care of the newborn baby by offering a line of baby socks made with delicate and precious material to be extremely comfortable in contact with baby's feet and to accompany them step by step to discover the world. Is there a baby on the way? 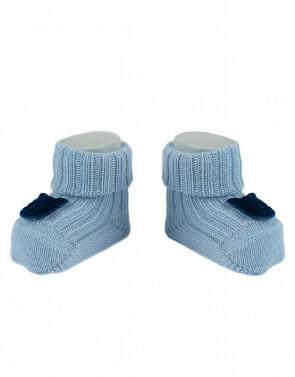 Choosing the most suitable model of baby socks is simple in Calzitaly's online store. 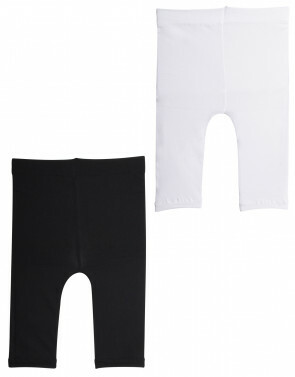 We offer a complete assortment to caress, embrace and accompany your baby's feet from their first day of life onwards. 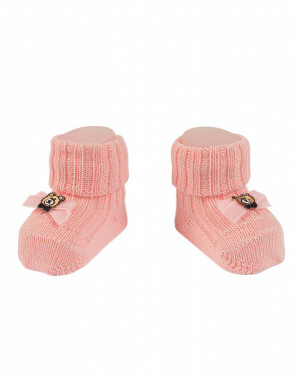 Our range includes socks and booties made of high-quality soft wool and personalized with cute decorations such as Teddy Bears, or more elegant details, such as bows or lace on the edge. The assortment is completed with socks for babies in the Christmas theme with cute Santa Clause bears. Baby Socks: How to Choose the Right Product. Newborn babies needs to feel as if they are still in their mother's tummy, that's why you have to cover them and keep them warm, protecting them from head to toe. Our range of practical and comfortable baby socks is designed to make your baby feel at ease in every moment of the day. The assortment includes: baby socks made of soft mohair or warm wool, decorated with care and fancy hems and perfect to accompany baby from the first days of life; baby tights, ideal in cooler periods, available in many cheerful and sparkling colours and available in a mini-striped or plain-coloured pattern; non-slip baby socks designed to accompany the growth of little ones up to crawling and then to their first steps, personalized with pretty motifs that are inspired by the animal world and feature fish, owls and many more; baby long socks perfect when it's colder and lighter ankle socks for warmer seasons. All baby products made by Calzitaly are 100% Made in Italy.